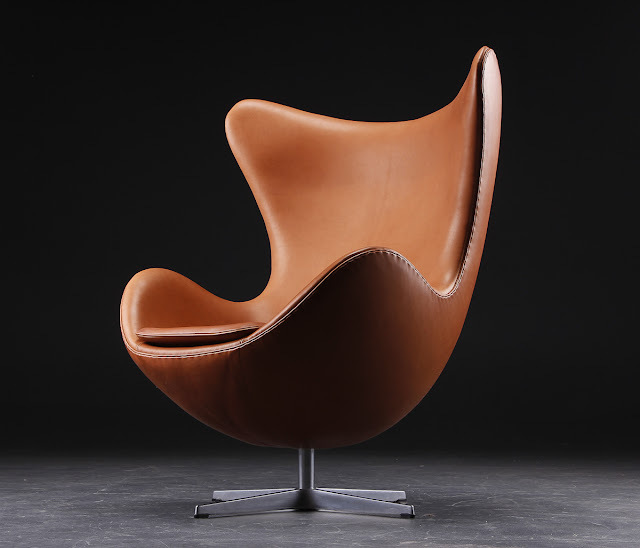 Arne Jacobsen's original Egg Chair is a veritable collectible. 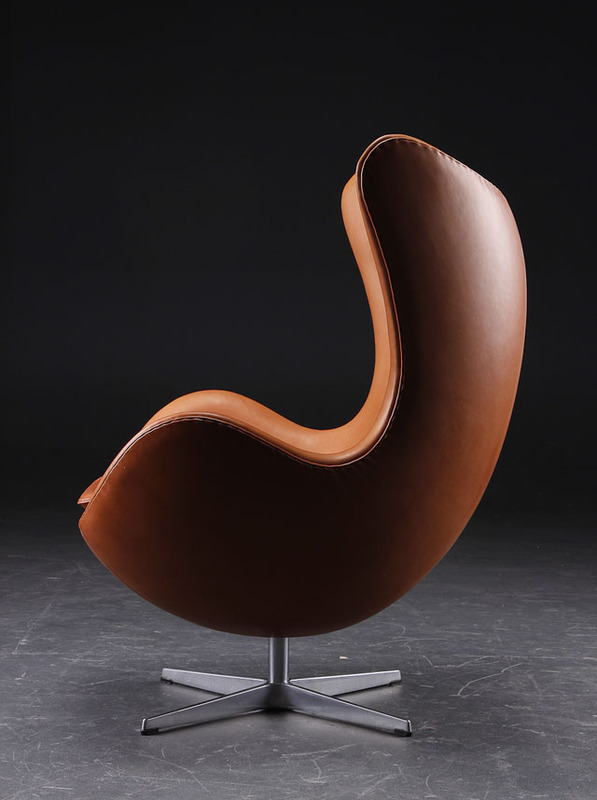 An icon of Scandinavian mid-century modern design, it fetches high prices at auction houses such as this re-upholstered Egg Chair in Brown Leather that was recently auctioned off at Lauritz in Denmark. Luckily enough, the Arne Jacobsen Egg Chair by Fritz Hansen is made available again and offered in the US through design retailer Stardust. 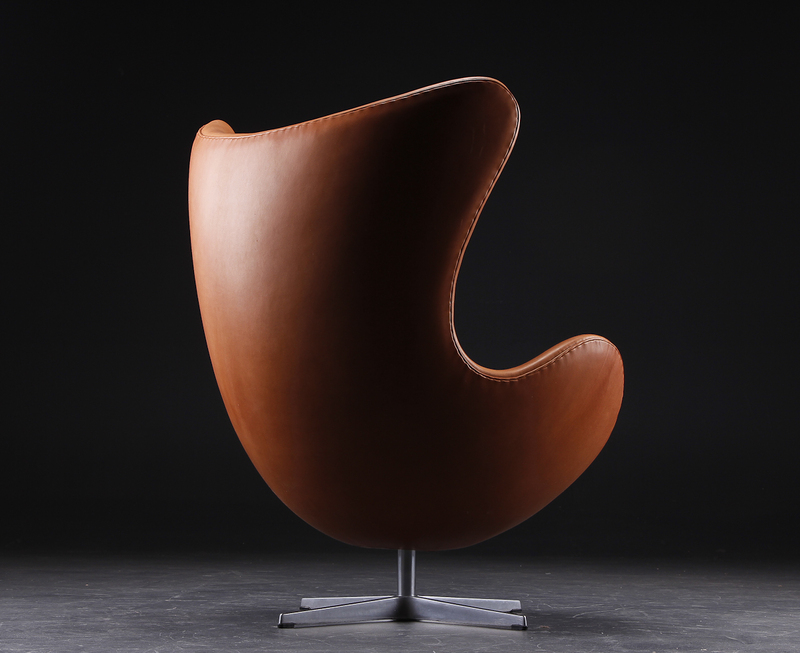 The Egg chair was designed by Arne Jacobsen in 1958 and is produced by Fritz Hansen in Denmark. Arne Jacobsen designed the Egg Chair for the lobby and reception areas in the Royal Hotel, in Copenhagen. The commission to design every element of the hotel building as well as the furniture was Arne Jacobsen's grand opportunity to put his theories of integrated design and architecture into practice. Arne Jacobsen's Egg Chair is one of the triumphs of Jacobsen's total design - a sculptural contrast to the building's almost exclusively vertical and horizontal surfaces. 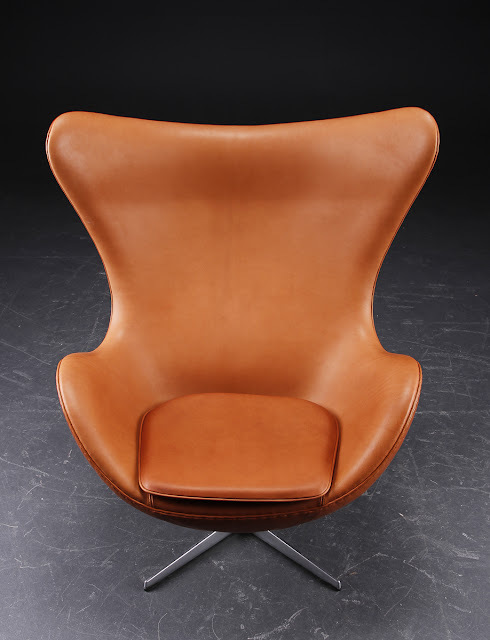 The Egg Chair sprang from a new technique, which Arne Jacobsen was the first to use; a strong foam inner shell underneath the upholstery. 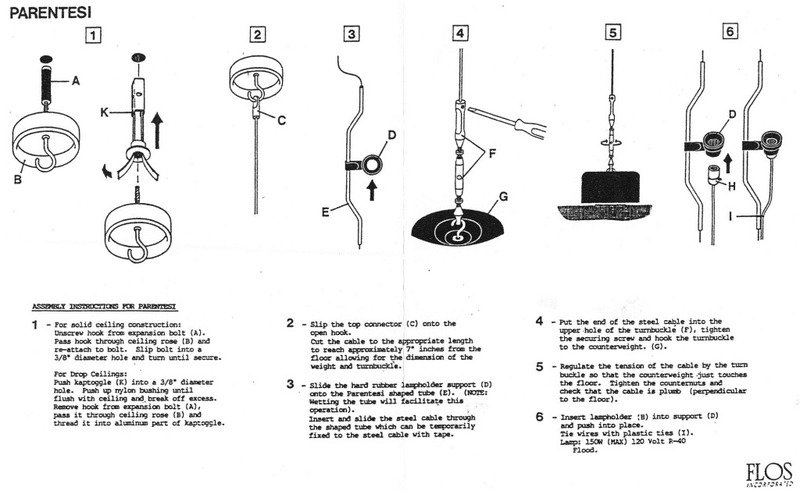 Like a sculptor, Arne Jacobsen strove to find the shell's perfect shape in clay at home in his own garage. 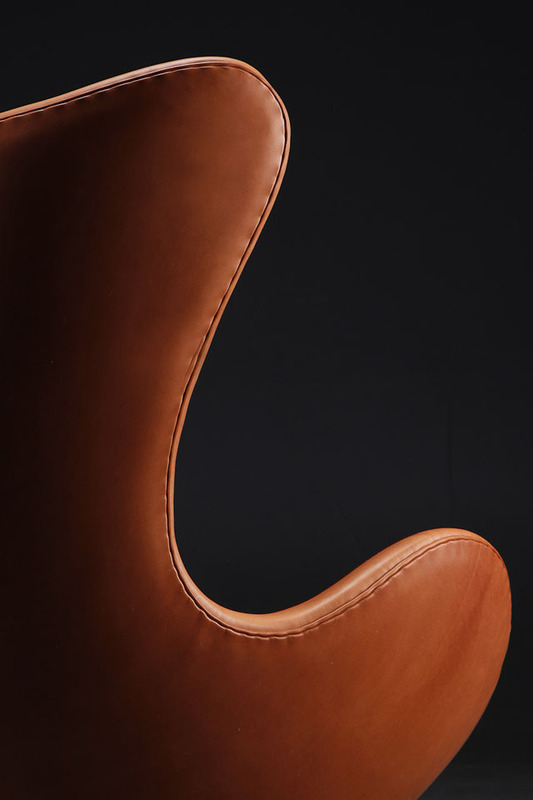 Because of the unique shape, the Egg Chair guarantees a bit of privacy in otherwise public spaces and the Egg Chair – with or without footstool – is ideal for lounge and waiting areas as well as the home. The shell of the Egg Chair is of polyurethane foam with a fiberglass reinforcement. 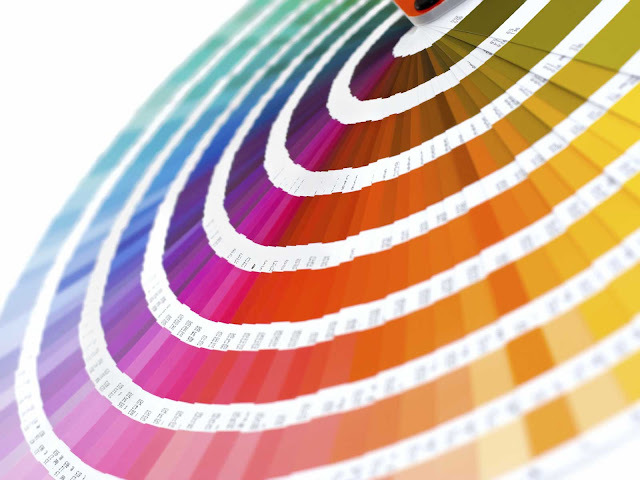 The shell has an adjustable tilt which can be adjusted to the weight of the individual user. 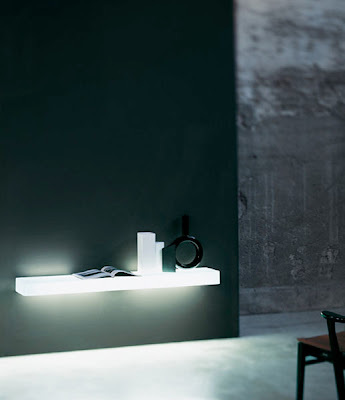 The base consists of a satin-polished, welded steel tube and a 4-star base in injection molded aluminum. Arne Jacobsen's Egg Chair is an undisputed masterpiece in the history of modern furniture design. 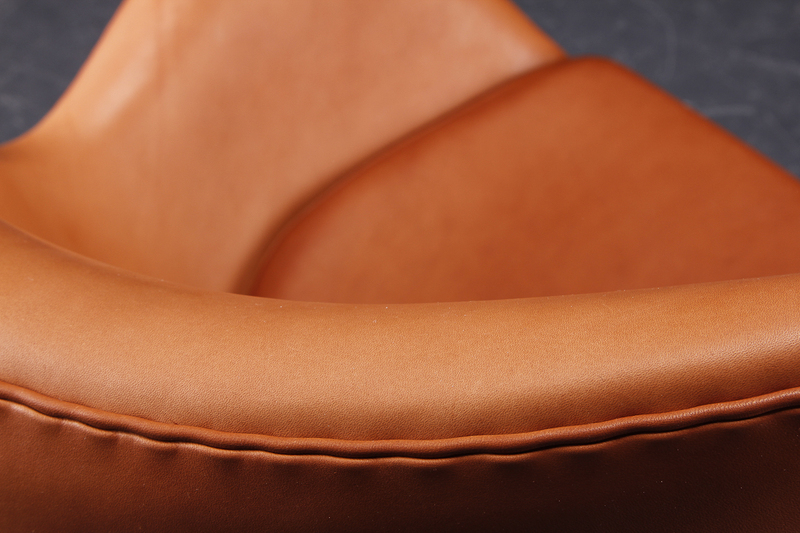 It is a beloved Danish design classic and it effortlessly combines comfort and style.